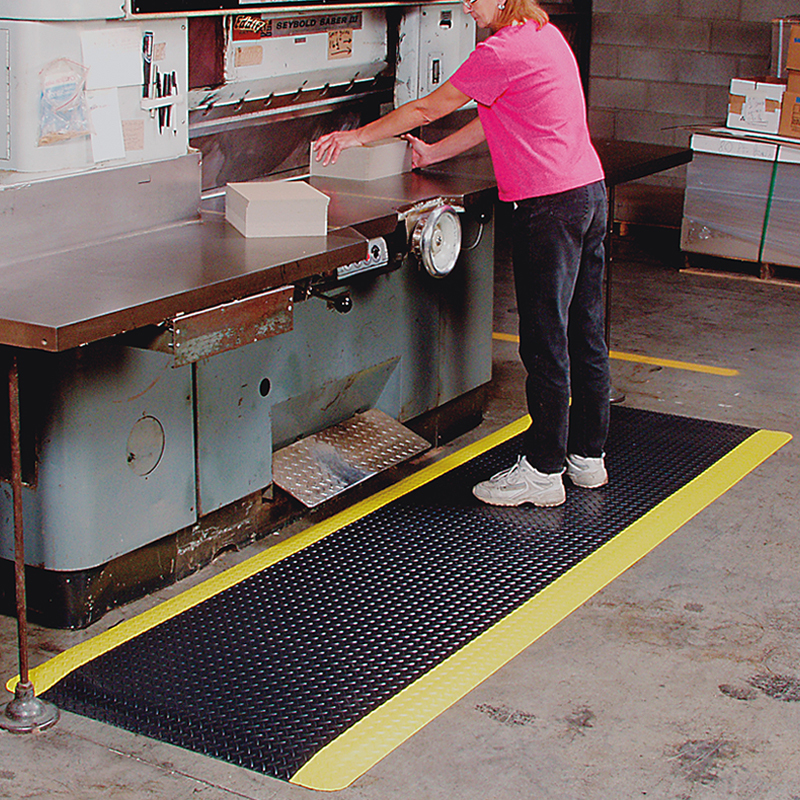 DiamondPlate’s 15/16” double-thick mat. 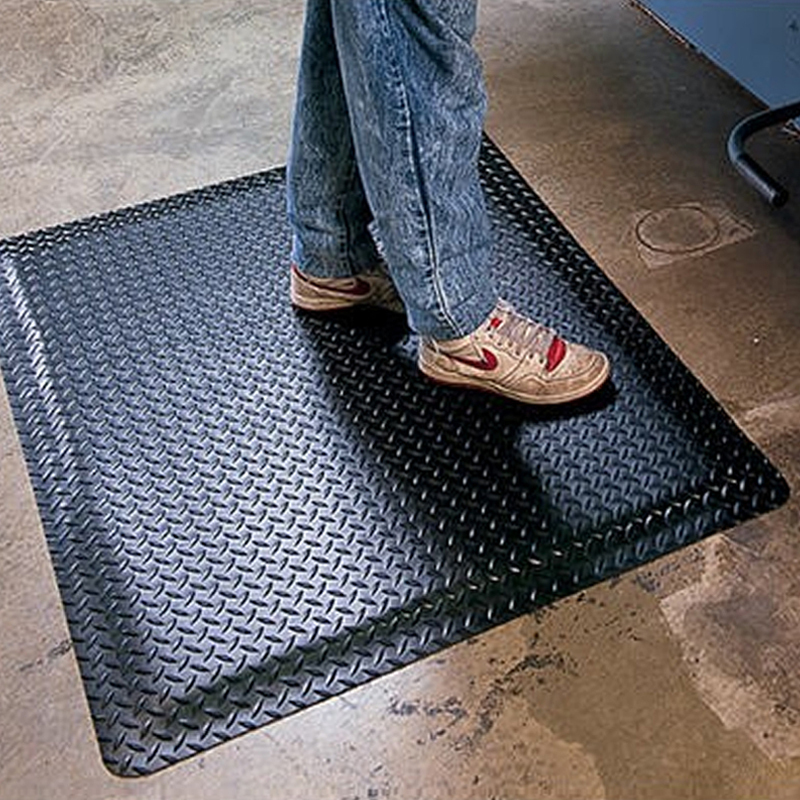 Sponge base offers incredible comfort with a stylish, traction surface. 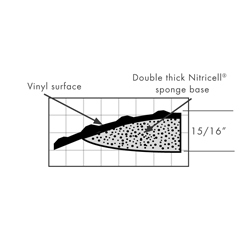 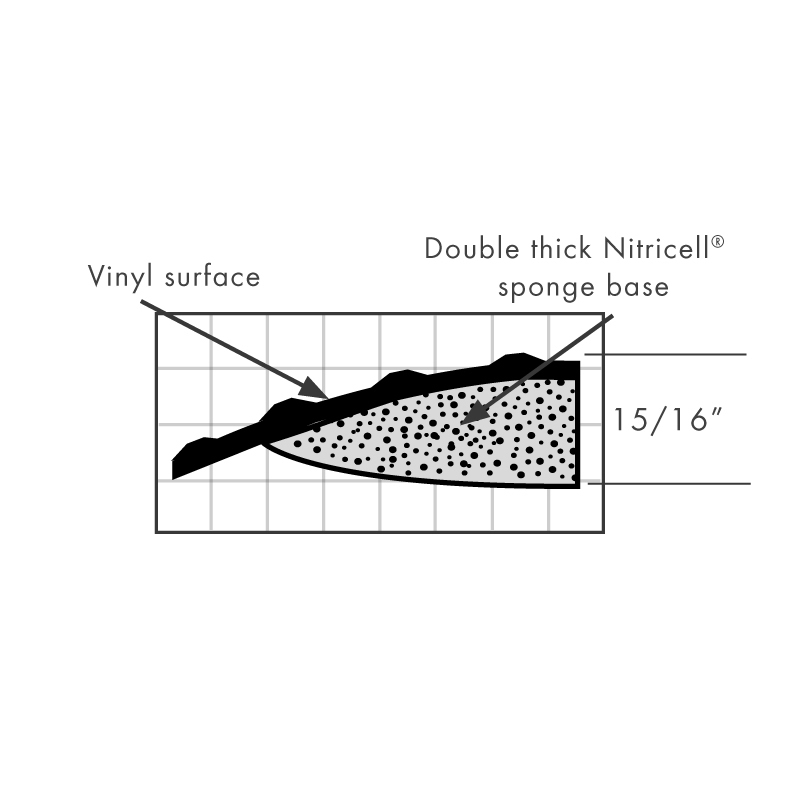 • SpongeCote®, a rubber/PVC blend, provides superior resilience. 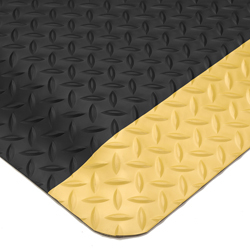 • Extreme comfort, immediate recovery, and long life. • Diamond-embossed, 100% vinyl surface for extra traction, and is chemical and abrasion resistant. • Optional colored borders and beveled safety edges.